Kevin Reece, a multi-award-winning feature reporter who has spent the last nine years with Houston’s KHOU-TV, is changing Texas venues and will be joining Dallas-based TEGNA8, sources tell unclebarky.com. Reece last year won Lone Star Emmys as both the state’s best feature reporter (his fifth such award) and video journalist. He’ll reportedly be a multi-purpose reporter at TEGNA8. KHOU also is owned by TEGNA. Reece has a Masters Degree in Journalism from Northwestern University. He’s also worked at TV stations in Eureka, CA, Chattanooga, TN and Seattle. He initially joined KHOU in September 2007. Reece is “always looking for positive, uplifting and inspirational stories to tell,” according to his KHOU biography. Investigative reporter Brett Ship, who has won numerous major national reporting awards during his long tenure at TEGNA8, effusively praised Reece’s hiring in comments to unclebarky.com. 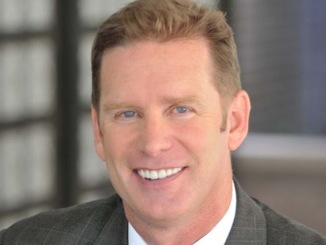 TEGNA8 also has re-hired Mark Smith to beef up TEGNA8’s investigative team, Shipp said. Smith, who had relocated to CBS News’ Dallas bureau, previously teamed with Shipp to produce three duPont-Columbia and a trio of Peabody award-winners.